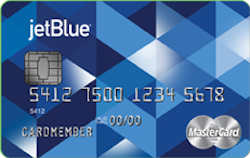 My credit goals: 1) Applying for one card, Chase Freedom Unlimited, and getting it! This should happen on Monday. 2)Getting all scores over 800. One is now! 3) Staying in the garden for at least a year after I get the Chase card. 4) Remove at least one of the two baddies on my CR's. 5) Grow my CL's without a HP to over $150K by the end of the year from the $132K now. 6) Pay every bill on time. 7) Keep every card open with at least some minimum purchase. Hey all, I'm so happy I found this forum and the wealth of knowledge contained here. Just started rebuilding last month after a major medical situation wiped us out. I haven't gotten the 3B scores yet because I'm waiting for my CCs to report a much lower balance later this month, but I know EX was 562 last month and it's 577 now after getting a couple lates deleted. Really hoping to hit 650+ by this time next year. A few months ago I really started to dig in to my credit and how to build it. I wish they taught this in school. My goals are simple get all three credit bureaus score over 800! I have made a bit of progress since last year, mostly recovering the points lost to opening 2 secured cards and one unsecured cards in the fall. I paid cash for my house so no mortgage and I always bought cars I could pay cash for or if I financed I paid off early. If only I had known I did all of that wrong . I have no doubt I can get over 700 before the end of the year. I just has a limit increase on my capital one secured card. I did not ask for a balance increase they just gave me one. I was surprised because the card was opened in October. Hello all, my first time here and my first challenge. I’m 27 years old and reality hit me on how important having a high FICO score is. My current/starting score via credit wise is 557. My short term FICO goal is to reach 701 by the end of the year to be able to start shopping for my first home. I also would like to be approved for an UBER card. The negative things affecting my score currently are unpaid medical bills, student loan debt, an old Repossession, and a JC Penny CC & a Walmart CC I took out when I was 18 years old. First time here, my main goal is to get all of my scores about a 750 this year. I have learned a lot from just the short time I joined myfico from all of the great post here. I realize that you can save a lot of money with good credit, you can also maxiumize rewards for things that you are already buying everyday if you have good credit and some type of rewards cards. I would also like to increase my CLI to 100K by the end of the year. I have been paying the price for my past mistakes with credit but will have all of that behind me by the end of the year at which time I except to see my scores really go up. Thankfully I have opportunities to moonlight at the hospital which will help make a dent in my CC debt. In addition, I'll be moving in with my girlfriend and will be cutting my rent from $990/month to $420/month (and of course will be cutting utilities in half as well.) Hopefully my mid-year goal will change from "pay off pay off pay off" to "save save save." It looks like I've let this thread get ahead of me! To all those posting in here for the first time: Welcome! I'm glad to see so many new challengers! Let me encourage each of you, if you haven't done so already, to post in the February Check In thread. I know some of you have already. I like the Fitness Challenge because it can include all aspects of your financial health. It's good to see many of us with the goal of building emergency savings/savings. This is a goal I took on in July 2016, and set myself back by using some as a down payment for a new car, so I'm not as far along as I could be, but I'm still keeping at it. Ultimate goal is to have emergency savings plus a mortgage down payment. I'll stop rambling, but just wanted to say how much I'm looking forward to seeing each and every one of us persevere in our Fitness goals throughout the year in the monthly threads. Through my journey I have tried to get serious about my credit and financial well-being since my early years but the spark just wasn't there. It indeed was from a lack of education and understanding the very importance of it. So of course I had to learn the hard way, however it has been beneficial to me and my family as well as my peers. I eat, sleep &amp; dream of credit. It is the 2nd most important thing in life after the Gospel of Christ. The ways of the world I must say. I now under stand that cash is not King all the time and those who lack in their credit ratings pay more for things. So yes a light bulb has gone off, it is the second light unto my path to secure the future of my family with the Wisdom of God! So don't mind me folks I'm just here to chew up the meat &amp; spit out the bones!!!! My Goals are to eliminate all negative items from my report by all means necessary, which I'm close to achieving however Experian...well she is one tough cookie. My next goal would be to pay down all my credit cards to a $0 balance, well I actually just did that, I will update my scores once it's been reported. I already own my home, so now I'm looking into purchasing a childcare business, and that's why this fitness challenge is important to me. Let one card only report a small balance each month, card of your choosing and rotate which ones at least every few months, so you don't get dinged for a charged that has been inactive, or worse sock drawered and not used for a year and they close it. You can use all cards each month, just pay the ones you do not want to report a balance before statement date, not due date. FICO will ding you for all cards having a zero balance. Thank you so much for your advice I will definitely leave a small balance so that I don't get discredited for a 0 Balance.